Why is it, recently, that every time I attend a wine symposium, a Fight Club breaks out? 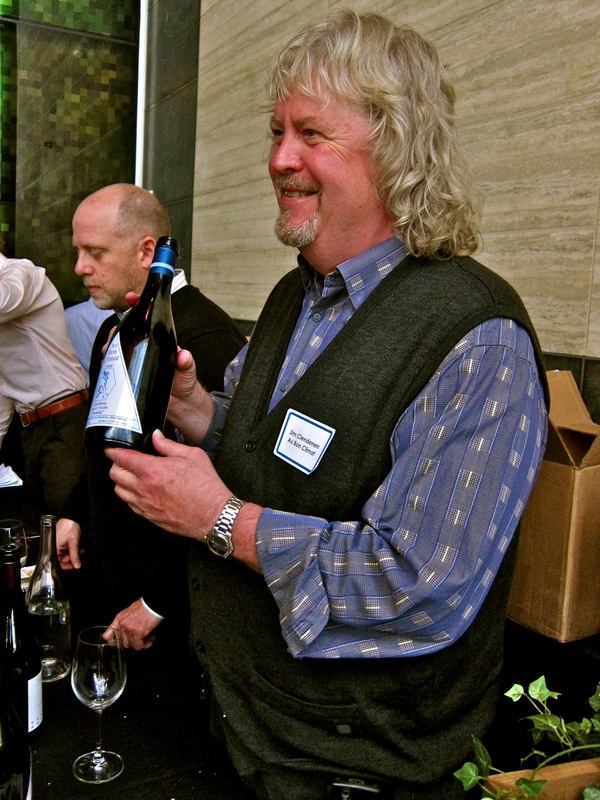 Or so it seemed at both the Santa Cruz Mountains Winegrowers Association's Pinot Paradise Technical Session this past Sunday (March 27), and RN74's In Pursuit of Balance Pinot Noir panel and tasting the following Monday in San Francisco. The sad part is that both events involved pinot noir producers, who I've always though of as souls of sensitivity; or at least, knights of infinite resignation, given their difficult medium: a grape that tests vignerons mightily -- one vintage giving wines as sweet and pure as Sissy Spacek, and another vintage giving wines that make you recoil in the Carrie of it all. Does not trial and tribulation make one all the wiser? Maybe not. The first gauntlet was thrown by Santa Cruz Mountain Vineyard winemaker/proprietor Jeff Emery, who professed to not quite understanding contemporary style pinot noirs picked at sugars beyond 23 Brix° and finished with lower acids, riper fruit, and alcohol levels above 14%. A pinot soused soul crying in a Central Coast wilderness for restraint, finesse, and greater potential longevity. Problem being: the two wines Emery presented as evidence -- the 2001 Santa Cruz Mountain Pinot Noir and 2004 Santa Cruz Mountain Bella's Reserve Pinot Noir -- are not exactly epitomes of charm, however taut, tart, and moderately scaled (around 12.5% alcohol) they may be. In fact, one could make an argument (judgements of quality being subjective) that the two fuller bodied, obviously riper picked pinots presented by Nathan Kandler of Thomas Fogarty Winery -- the 2008 Fogarty Windy Hill Pinot Noir and 2008 Thomas Fogarty Rapley Trail Pinot Noir -- shown at the Pinot Paradise session were more fragrant with the spice scented black and red berry perfumes as well as more finely delineated in the rich, textural qualities often associated with the grape, despite evident elements of oak (warm, smoky nuances). To buy into Emery's premise, one would have to accept that a lean and stringy style of pinot is always more appealing than a fuller yet giving style. But what if you like the fuller, giving style -- is there something wrong with you? I think not. 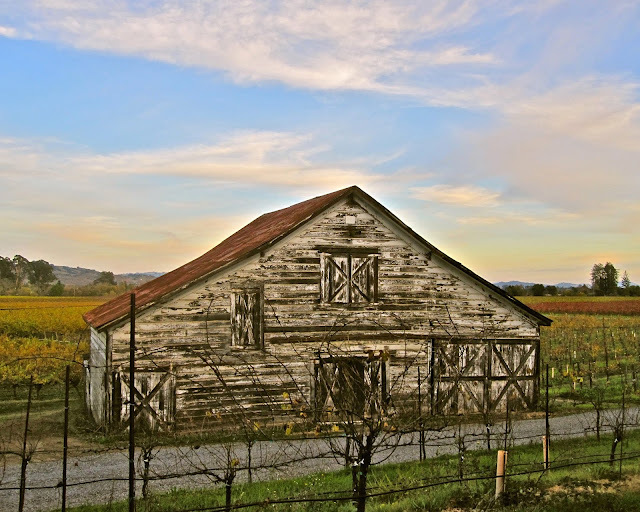 Variations of California pinot noir may be less terroir related and more dependent upon conscious decisions of growers and winemakers than, say, variations of French Burgundy, but in the end it still comes down to preference. 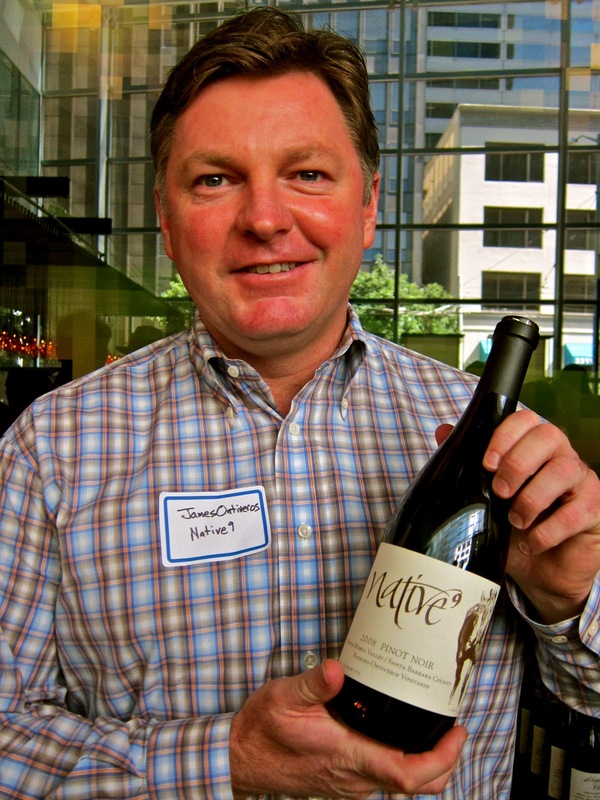 Do you prefer Musigny or Chambertin, Santa Cruz or Fogarty? Ezra Pound or T.S. Eliot, Mozart or Beethoven, Rembrandt or Pollock, Stones or Beatles, Ferrari or monster trucks... the world is full of choices, and the idea is for you to make 'em, not an arbiter with an agenda. Which is what I found so disconcerting about the In Pursuit of Balance symposium in San Francisco, however laudable its stated purpose, to "promote dialogue around the meaning and relevance of balance in California Pinot Noir." Generally speaking, echoing Emery in Santa Cruz Mountains, the panelists professed a preference for either pinot noirs picked earlier at lower sugars (when possible, of course, since Mother Nature is not always cooperative), lower pH, higher acidity and less of that "physiological ripeness" often spoke of by denizens of the presumably opposite style, or a preference for vineyards located in relatively cooler climes and less permissive soils which give them a higher percentage chance of producing their idea of a balanced pinot noir. The problem is when these winemakers, and the sommeliers and critics rallying to their camp, begin to speak ill of wines that don't quite fit into their conception of "balance." When asked if it should be less a "question of balance and more a question of terroir" (okay, that was me doing the asking), one of the panelists, LIOCO winemaker/partner Matt Licklider, opined that "there are a lot of terrible wines being made in good terroirs." Ah, but therein lies the problem: there are also lots of less desirable wines made in the so-called "balanced" style. After all, who's to say a leaner, tighter pinot noir with more accentuated acidity and less oak is more appealing than a rounder, softer, richly oaked pinot noir? Of the 24 producers showing their pinots in the tasting following the San Francisco seminar at RN74, I can't say that all of them floated my boat, even though I personally prefer the finesseful style. Not that I'm the arbiter of good taste, but a good number of them were just... boring. Then again, a lot of them were as exciting as any I've ever experienced. Of the six panelist sitting on the In Pursuit of Balance stage, I think the most sensible comment was made by Evening Land Vineyards winemaker/grower, Sashi Moorman, who expressed the sentiment I often feel when I taste an exciting pinot noir. "There is so much preoccupation with alcohol and balance, pH and acidity, we tend to forget what makes the best wines special," said Moorman. "When I think of the great pinot noirs that have made me literally weak in the knees, I never say 'this wine is so well balanced'... it's usually the aromatic or unique qualities of pinot noirs that make the difference." 2008 Native9, Rancho Ontiveros Vineyard, Santa Maria Valley - Fantastic concentration of red berry perfumes with smoky spices; velvety, luscious, yet vibrant in as much acidity as any. 2009 Failla, Hirsch Vineyard, Sonoma Coast - Framboise-ish intensity in the nose, these red berry sensations strapped tightly over a medium weight body; silky, seamless, sensual to the touch. 2009 Failla, Keefer Ranch, Sonoma Coast - Distinctly softer yet also more curvaceous, velvety and sultry scented than Failla's Hirsch; smoky cardamon spiked citrus peel spices sexing up the nose. 2008 Au Bon Climat, Isabelle, California - Sweet toned pinot perfume penetrating the nostrils; long, silken, bright flavors against a faint backdrop of earth and oak. 2007 Clendenen Family, Le Bon Climat, Santa Maria Valley - Super fragrant, electrical pinot perfume, with a zesty edge prolonging the lush yet sharply defined flavors. 2008 Chanin, Le Bon Climat Vineyard, Santa Maria Valley - Baskets of strawberryish fruit tingling the nose, with just as much lift and zest on the palate. 2009 Domaine Eden, Santa Cruz Mountains - By Mount Eden Vineyards; luscious raspberry/strawberry fragrance with smoke and earthen spices; high toned, yet with a round, velvety grip on the palate. 2009 Sarah's Vineyard, Santa Cruz Mountains - Super strawberry nose with peppermint and sweet oak spices; lean entry, yet intense fruit pushes right through a steel girded frame in mouth-watering finish. 2007 Storrs, Christie Vineyard, Santa Cruz Mountains - Here's a full, sweetly ripened style (14.5%) that is also very fresh and pristine; the strawberry/raspberry fruit fragrant and plump with thickened, meaty texturing. If this is "wrong," I guess... I don't care. With the help of a man called Dr.Addo I was able to get pregnant though his root and herbs. I’m 47years of age, it was really difficult for me to pregnant though my husband loves me but it was really hurting me not having my own child but after many years I came across Dr.Addo. I’m 7months pregnant now through the help of the wounderful man and I will advice everyone looking for help to get pregnant to contact this gretae man via his email at: ( addosolution @ gmail. com ) OR WhatsApp +1 929 222 7518, and be happy like me.